Today, it is estimated that more than one million students participate in activities of the National Honor Society in chapters across all 50 states, the District of Columbia, Puerto Rico, many U.S. Territories, and Canada. Chapter membership not only recognizes students for their accomplishments, but challenges them to develop further through active involvement in school activities and community service. Induction into the National Honor Society is a prestigious distinction awarded only to the most proficient students. The application process is open to all students in the student body in the Spring each year. An alternating Faculty Council will review all candidates for Induction. Each year, following the NHS national guidelines, Honor Society Chapters throughout the country collectively dedicate countless hours to school and community service projects as well as fundraisers for local, national, and international charities. Instilling these values early in life helps to lay the groundwork for a lifetime of service. 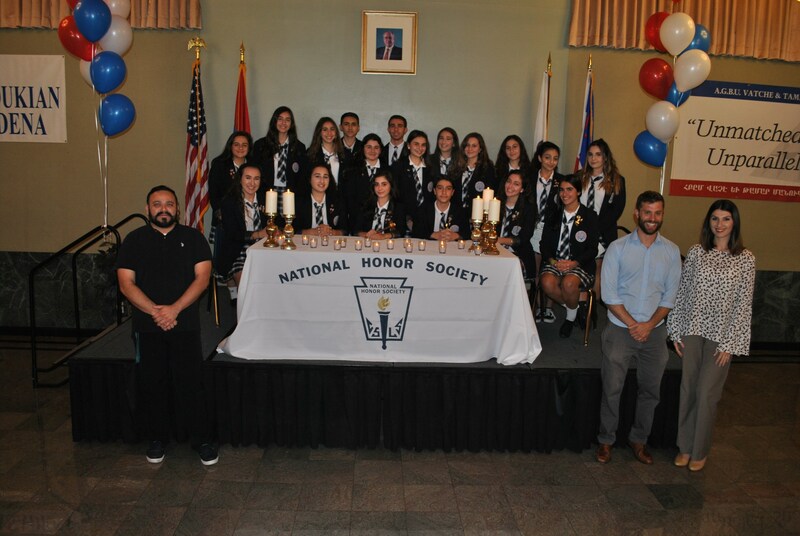 Our inductees experienced a warm ceremony where they lite a candle representing the eternal light of knowledge, received their pin and membership certificate, and signed the official registry of membership upon taking an oath to be productive members of NHS. After which, our chapter NHS President shares their motivational speech to the student body. The AGBU Vatche and Tamar Manoukian High School Chapter of NHS is led by, Mrs. Gohar Stambolyan, Advisor and Mr. Thomas Wiebe, Co-Advisor.